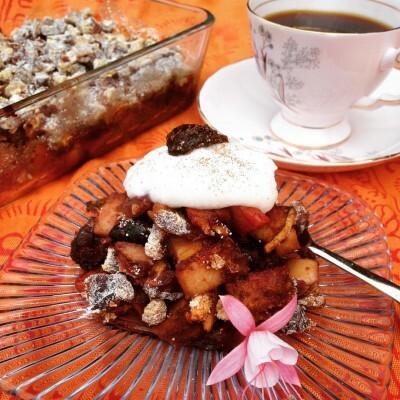 Asian Pear/Cherry Cobbler - Raw Juicy Living - Recipes and Workshops for Parksville, B.C. Cut the pear into bite size pieces and place in a bowl. Cut cherries in half and add those to the bowl as well. Add date/orange paste, just enough to nicely coat the pear and cherries. Stir in cinnamon. Put the mixture in a small shallow baking dish. Put chopped dates and mulberries in another bowl, and lightly dust with a coating of coconut flour to keep pieces separated. Spread evenly over top of cobbler and dehydrate overnight.